Is Cooper-Young Graffiti Audacious or Artistic? Art has always been an important part of the Cooper-Young culture, but one particular type causes some residents to cringe. Graffiti plagues any big city and this community is no different. There are generally two types of graffiti. One type results from the artistic expression of taggers, who are graffiti artists who pride themselves on their creative expression. The other type carries a more sinister connotation because it involves emblazoning the monikers of gangs to mark territory or areas of influence. It is important to point out that without permission from the property owner, both types of graffiti are considered vandalism and are therefore illegal. Kristan Huntley, community director at the Cooper-Young Community Association, said graffiti is something that her office takes very seriously. “It has a tendency to perpetuate crime if left alone,” she said. 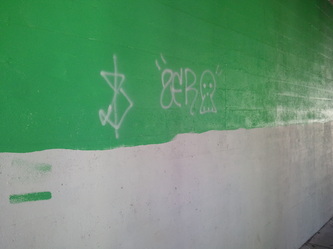 Huntley said it is important to address any type of graffiti as soon as it is noticed. 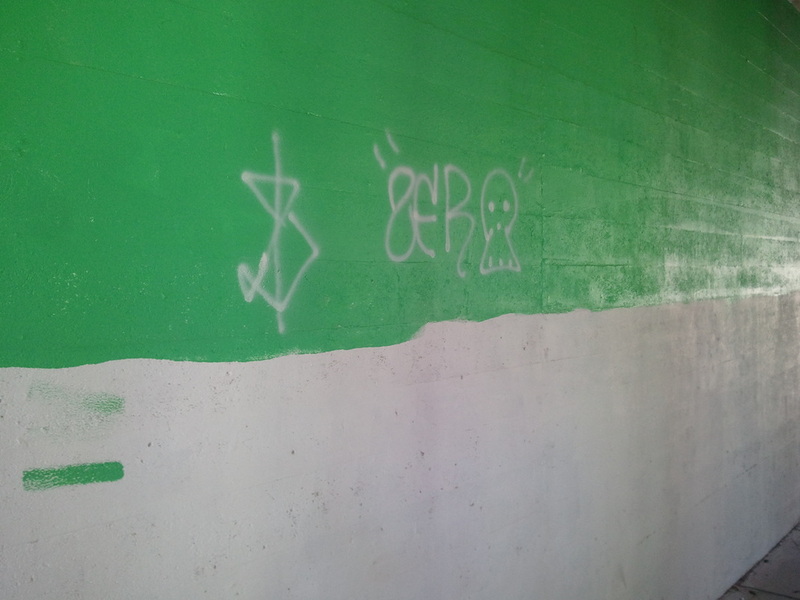 While the vast majority of the graffiti in Cooper-Young is not gang-related, Huntley said it can still cause issues with some residents. 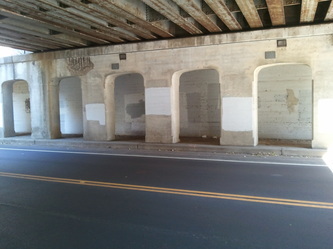 Two locations where graffiti is commonly found are the railroad bridges that run parallel to Central Avenue and cross over South Barksdale Street and South McLean Boulevard. These locations are somewhat hidden from main thoroughfares and are very easy to tag inconspicuously. 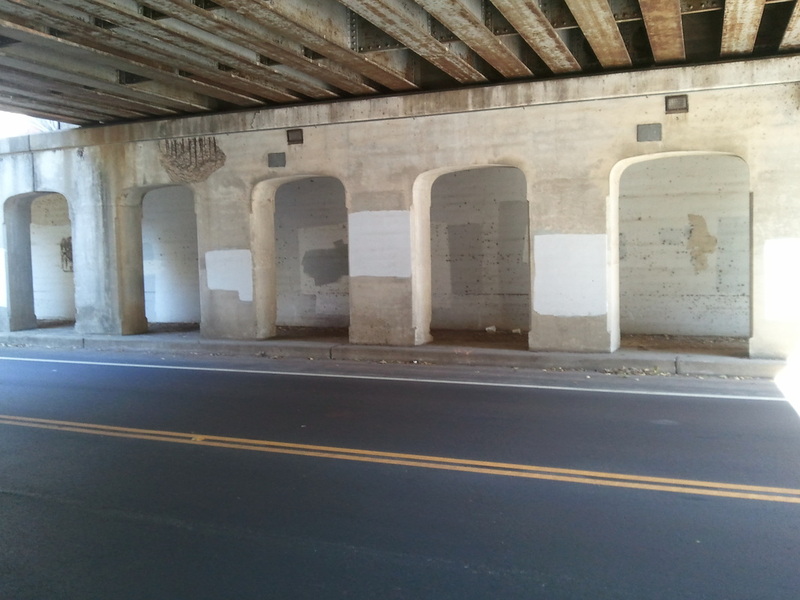 “Underpasses are a major target of graffiti,” Huntley said. 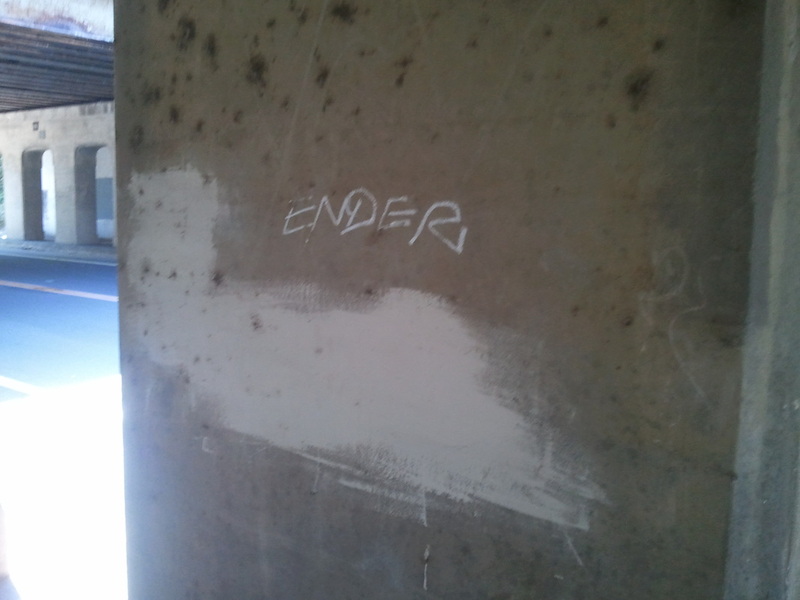 There were plans in place to cover both underpasses with artistic murals in an attempt to dissuade taggers. Huntley said taggers often leave other artwork alone. “Most of the time when you have art there is usually a mutual respect among artists to leave it alone,” she said. The plans to put up the murals, however, are in limbo right now because the CYCA needs to get permission from both the railroad company that owns the bridges and the City of Memphis. According to Huntley, simply finding out which railroad company owns the tracks has been a futile effort. She said these companies often lease out track ownership to other such companies and tracking down the correct one is extremely hard. Catching taggers rarely occurs because they use nicknames and often create their work at night when no one is around. This wasn't the case at the Young Avenue Deli though. One of the restaurant walls got hit with graffiti. A security camera outside recorded the taggers. The owner of the Deli posted that picture on Facebook on August 7 and through the use of the social media site, was able to identify the graffiti artist. This problem is not limited to just one area. Huntley said graffiti can often spread like fire if left alone. “When it happens in one place it usually happens in others as well,” she said. Cooper-Young is not entirely against taggers, though. Huntley said it is up to the owner of the property. One area where it’s allowed is a wall around the parking lot located at the corner of Walker Avenue and Fleece Place. “We are not anti-graffiti if the owner of the building is OK with it,” she said. Huntley said the CYCA and the community work together to keep unwanted graffiti out of the neighborhoods. For more pictures of graffiti in Cooper-Young, see MicroMemphis reporter Michael Lander's photo gallery here.